Do you want to sell products online? Magento, OpenCArt, or PrestaShop? Find out which ecommerce solution is right for your business in 2014. Are you faced with the challenge of choosing the right platform for your ecommerce? These days, we have three good choices: Magento, PrestaShop, and OpenCart ecommerce solutions. But in choosing what the right platform for our business is, we need to consider its features. Take note of each feature and opt for what will work best and help you achieve your business goals. Magento is considered as the leader among the ecommerce shipping cart systems. It has wider range of features and tools for customization of your online store. It promises better SEO gains for promotion and marketing. It allows multiple payment and shipping choices. Most of big organisations choose Magento because it fits their business requirements. 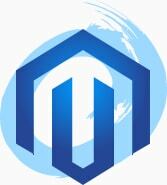 Magento is considered expensive online shop solution with its intensive server resource. Magento Community edition is offered free. However, its Enterprise license goes up for about $12990 annually. Web developers are generally paid for about $60 up to $150 per hour, basing from their experience and competence. But it’s worth it because you will be having a rich feature platform. Online businessmen find Magento stores with outstanding flexibility which allows them to regulate and control its appearance. It has unique content and functions. It prides itself with its solid marketing, SEO, and catalogue tools where online entrepreneurs can develop sites customised to their unique requirements. Magento runs as open-source system. 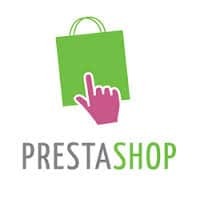 PrestaShop is an open-source program with many features for online store customization, usability, plenty of SEO benefits, provides analytics and reporting, and many more. It generally caters to small to medium-sized organisations. Although its basic program is offered free, and if you want more functions and features, they have modules which you can buy. However, PrestaShop may not be as famous as Magento because there are a handful of web shops with this software. It claims that it loads better, even with slower connections, which is attributed to being small-sized community. OpenCart is another open source system which has the easiest process to set up. You can easily install, create your template, place your products, and you are ready to accept online shoppers’ orders. It has good order procedure and multiple built-in payment options. However, it is difficult to build new custom information page, like if you need a contact form. It does not have management features like CMS. Magento allows its online merchants to regulate its features, like you can alter its content, interface, and how it works. 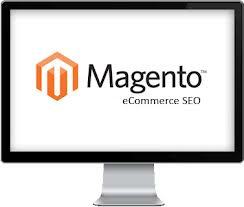 Magento was built for ease-of-use features for SEO and it can be used as catalogue-management tool. It was established in 2001 and gaining a partnership with eBay, Magento’s system becomes more solid and stronger. It provides its online merchants all types of modules, extensions, and features. Many are happy with its technical services and considered as the best in the industry. Magento is ideal for professional web shops and for those who are interested to operate web shops on a full time basis or run a partially online organisation. It is supported by Varien’s network and was built for fully scalable. It has its famous Enterprise Edition that helps online merchants or web masters to increase its sales revenues. It has effective tools that help in drawing more traffic, better conversion rates, online shoppers’ interaction, and satisfy and retain customers. PrestaShop was established in 2007 and was created to cater small to medium-sized businesses to achieve online visibility. Although its basic set-up is for free, additional features like templates, themes, and modules can be bought on a certain fee. Although the system is available in 40 languages, PrestaShop completely supports French and English. It does not have any support team but there are a lot of developers and users that you can find in its forums. PrestaShop works best with lesser requirements except for the Linux, PP5.2, UNIX, MySQL, or Windows operating system. This open-source ecommerce solution endorses payment schemes like PayPal, Google Checkout, Authorize.Net, DirecPay, and Skrill. It is known to have over 250 features and more than 1000 add-ons for ecommerce activities. It has more than 310 built-in features such as customizable templates, layered navigation, analytics and reporting, multi-store management system, all currencies, and promotion policies. Prestashop is ideal for store owners, enterprises, and developers. Opencart is an open-source “out-of-the-box” ecommerce solution. This PHP-based program allows its online merchants create their own design and expand its functions with extensions at reasonable costs. It is created for usability, attractive interface, and search engine friendly. OpenCart is fully scalable and it allows you to build unlimited categories, thus, sell unlimited products. It supports multiple types of currencies and utilises multiple languages. It offers more than 20 payment options and 8 shipping choices. Customers and visitors can review and rate the products that you are selling. Coming up next is additional information about the status of online shopping in Australia. We hope to provide you with fair information to guide you on your online venture of selling products online using one of these solutions.